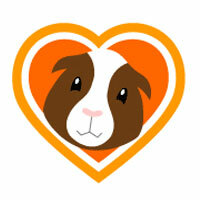 Guinea pigs have become increasingly popular pets both in the UK and other countries. 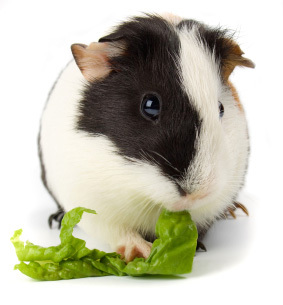 Guinea pigs have lots of advantages as house pets, they are basically odourless and are very cheap to buy food for. You will need to ensure that if you are going to get a guinea pig that you have company for it. Guinea pigs are group animals and if kept alone they will not be happy at all. Do not house guinea pigs with rabbits, because the rabbit could easily hurt the guinea pig by kicking it, and the rabbit might eat the guinea pigs food, you need to give separate food to the rabbit and to the guinea pig. If the rabbit ate the guinea pigs food, the guinea pig wouldn't get the nutrition it needs. Housing guinea pigs with rabbits is a very bad idea and should not be tried. Guinea pigs did originally come from South America and were found and brought to Spain by the Spanish Armada in the sixteenth centaury, then were imported to England for food but were found as loving pets. The "Guinea" part of the name may have been mistaken for the Dutch Guiana and the "pig" part is because in some European countries their word for guinea pig translates to sea pig, the reason for this is because they were brought to Europe from overseas. Also they make a sound that sound's a bit like a pig when they squeek. The name guinea pig is at best not very accurate, so we could ask if there is another name by which our endearing pets can be known by. The answer is yes! Although guinea pigs are still reffered to as "guinea pigs" they have another name too, their more scientific name is Cavy. Cavy comes from the scientific name of cavia porcellus. This name came from the navigators that found them in early times. Porcellus is actually latin for "little pig." Guinea pigs are actually distinctly related to the capybara and the Patagonian Cavy or Maras.